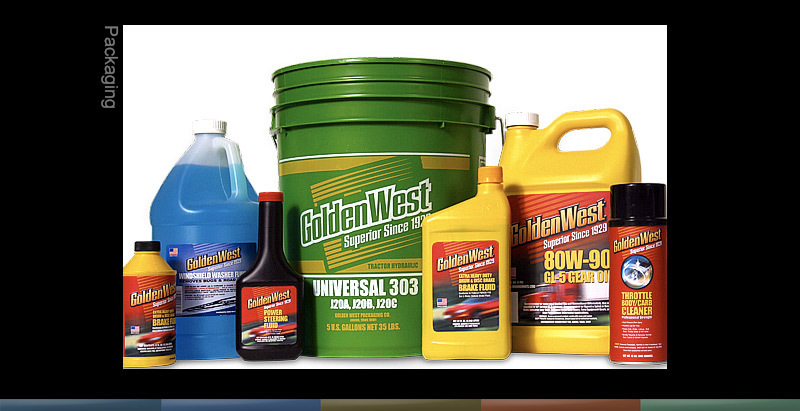 Since 1929, Golden West has been an established brand of motor oil offering consumers almost 50 high quality products at lower price points. Over time, Golden West has added products to its line on an “as needed” basis. With inconsistent design parameters, Golden West products were in need of a branding makeover. Ellis Graphics was called upon to offer a new direction. Our challenge has been to establish a brand identity which can be effectively applied in 1, 2 and 4-color process printing. We sought to offer a new direction but also maintain the existing brand equity. These products are meant to appear as the “high end of the low end” — the most appealing products for the price conscious consumer. Because of intentional design quality, these are products that compete well on the shelf with better-known national brands.